At Advant-Edge Decorative Curbing & Landscaping, Inc we offer our clients a wide range of landscape maintenance services for both residential and commercial properties. There is no doubt that carrying out all of your landscape maintenance tasks can be very tiresome and quite time consuming. Wouldn’t it be great to spend your free time doing the things that you really enjoy And still have a beautiful and neat looking landscape? Well we are here to make that possible for you! We service the greater Phoenix, AZ region including Peoria, Scottsdale, Buckeye, Goodyear, Glendale, Surprise, Sun City, Avondale and Cave Creek and surrounding areas. Our team of professional landscapers has been maintaining landscapes and lawns for many years and we have a long list of extremely satisfied customers. Let us add you to that ever growing list too. Simply contact us today and speak with one of our friendly staff members who will set up a free consultation for you. It is our goal to make your property the envy of the entire neighborhood, no matter what season it may be! 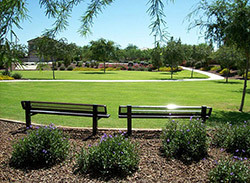 We understand that every landscape setting is unique and that is why we tailor each clients program to suit the needs of their particular property. Some have bigger lawns and others have bigger gardens; each with differing maintenance needs. 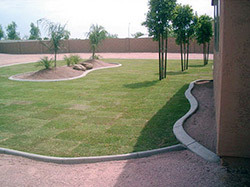 Let our landscape team take all the guess work out of maintaining your lawns and gardens for you. We have all the knowledge necessary to provide the appropriate services for all types of softscapes. With an experienced team like ours at Advant-Edge Decorative Curbing & Landscaping, Inc you really are placing your landscapes in the best of hands!